This entry was posted on October 20, 2017 by BILSTEIN. Starting just after the 2016 World Time Attack Challenge, we jumped on board with IS Motor Racing / Team Raptor to help them build a Club Sprint winning car. With several key challengers in this class, we knew the next 12 months was going to be busy. 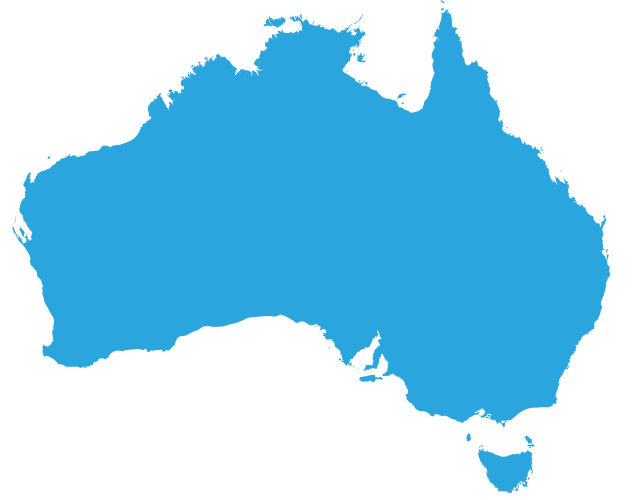 Our team here at Bilstein Australia, combined with Heasman Steering, are used to setting up race cars and championship winning cars. With this one we not only wanted to win, but also to break the record by the largest amount. The challenge had been set. 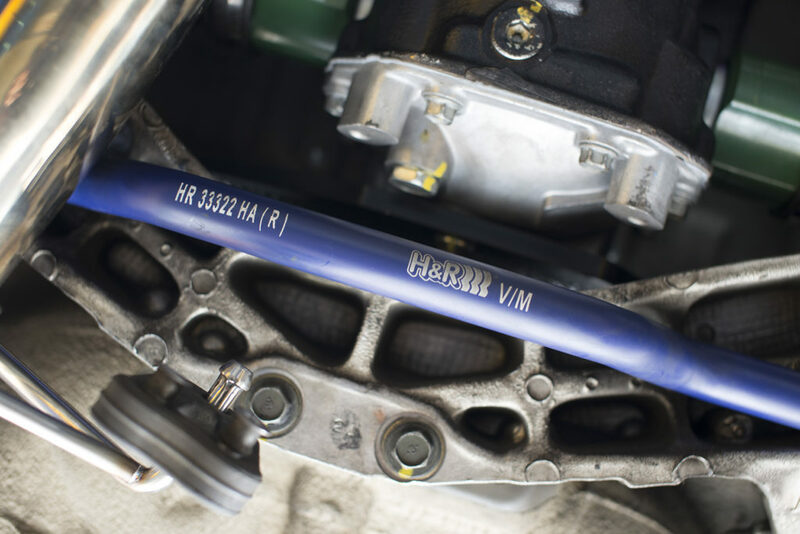 With their road going Mitsubishi Evo 9, we started by installing a set of custom built Bilstein 3-way adjustable dampers complete with H&R motorsport springs. Having this huge range of shock adjustability, it allows us to dial the car in quicker as well as offering fine tuning for different track conditions, different driver styles and perhaps different weather conditions on race day. 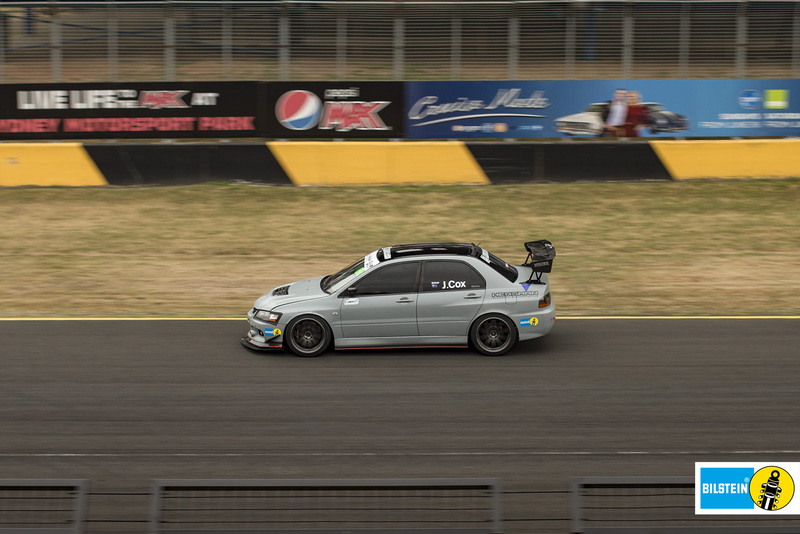 After an initial track test and driver feedback, we decided the Evo needed an upgraded rear sway bar in the form of a 27mm H&R adjustable bar. Another test was arranged and with it more changes to the wheel alignment from Heasman Steering, as well as a change to the spring rates. 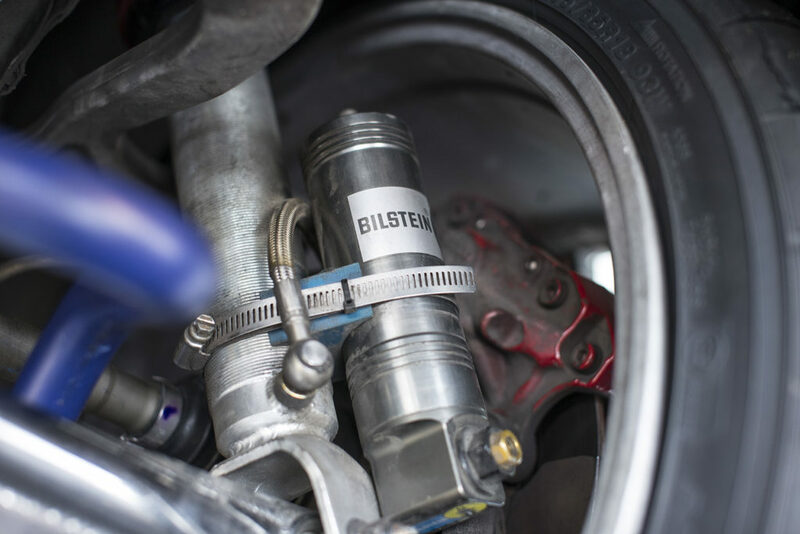 Once again driver feedback was dissected, shocks adjusted by Bilstein’s track support team and out for more testing. Once we had the EVO dialled into a window where we felt we could go no further with the driver/car combination, it was decided that the car would benefit from a more seasoned driver. 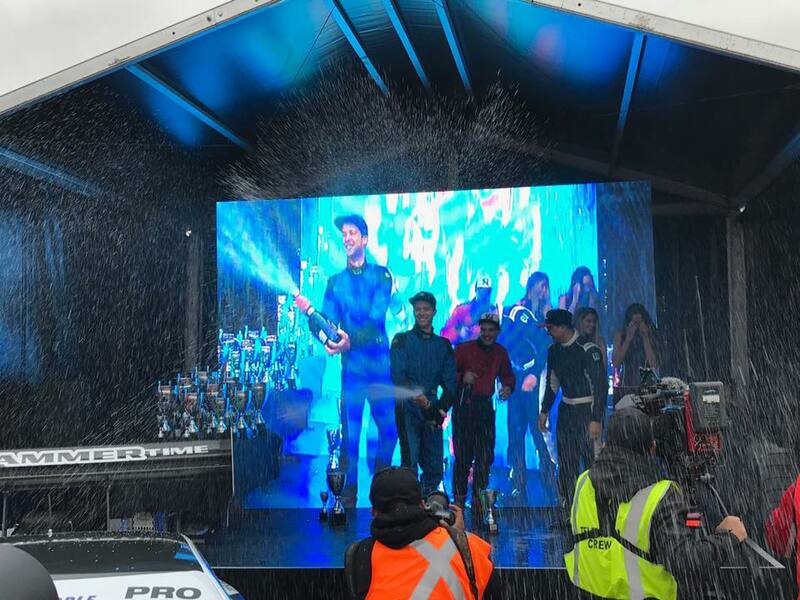 Someone who knew car set up and could get the most from the tyres and conditions, as well as push things to the limit. Crucial driver feedback from Jordan Cox during the next test day caused the team to reconsider the Evo’s power and torque delivery. With the new power output, we again needed to test the suspension and make changes to the spring rates and shock valving. With 10 months of preparation, testing and support on and off the track, the final 2 months was crunch time. 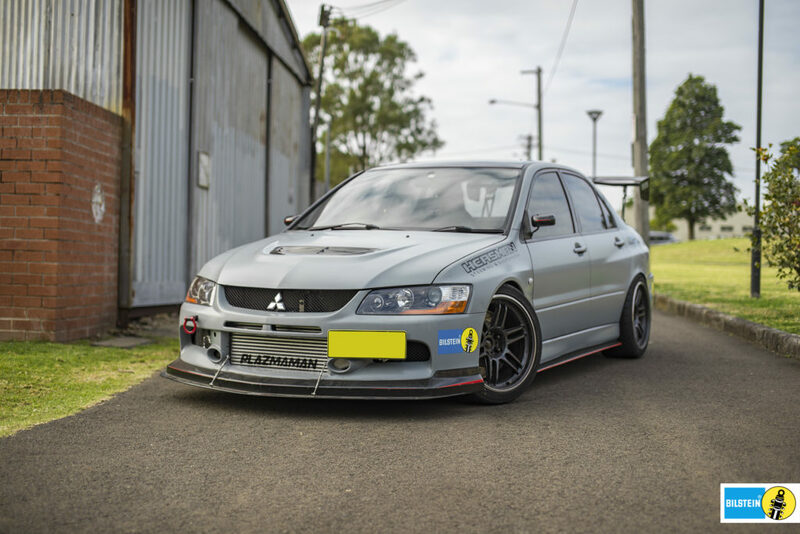 Further fine tuning and alignment set up from Heasman Steering and Suspension meant this Evo was as prepared as it could be on race day. 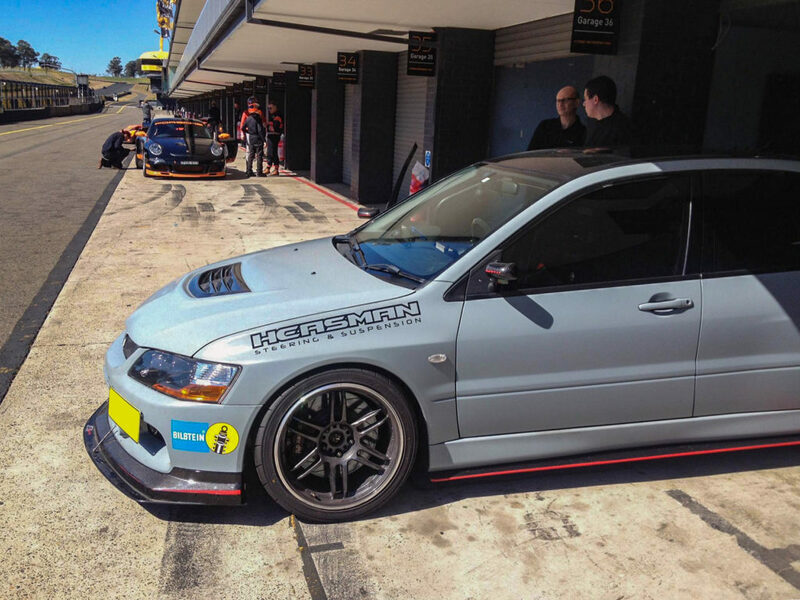 The opening day of WTAC saw Jordan Cox set a time of 1:37.5, breaking the current lap record for Club Sprint class. With further driver consultation and a few more suspension tweaks Jordan re-set the record the very next day with an incredible 1:36.839 on the second lap! That lap time held a comfortable 2.5 second gap over second place, and everybody started asking where had this successful team come from, it seemed like they were an overnight success. It came from 12 months of testing, it came from a specialised suspension team that likes to push the boundaries. It came from a driver who knows how to get the most out of a car and its components. But most of all it takes a team/car owner to listen to his group of specialists and have them all working together to achieve a result that is beyond what other teams consider as fictitious, and make them a reality. 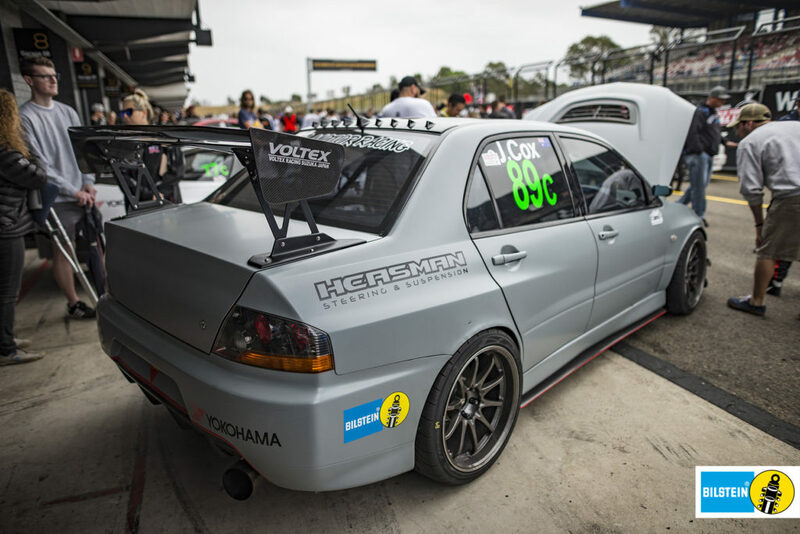 Who knows what next years World Time Attack Challenge will bring, but here at Bilstein Australia and Heasman Steering & Suspension we do know one thing, preparation and testing starts now. Is anyone up for the challenge? Watch the on-board footage of the winning lap, Jordan making it look so effortless.